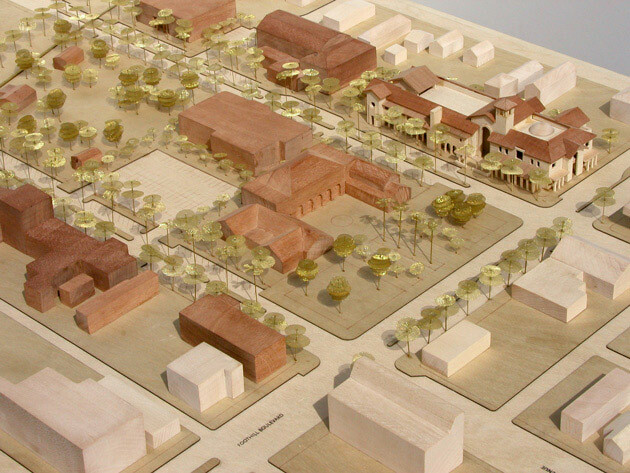 The Azusa Civic Center Master Plan outlines a strategy for enhancing and expanding the institutional heart of this east San Gabriel Valley city. 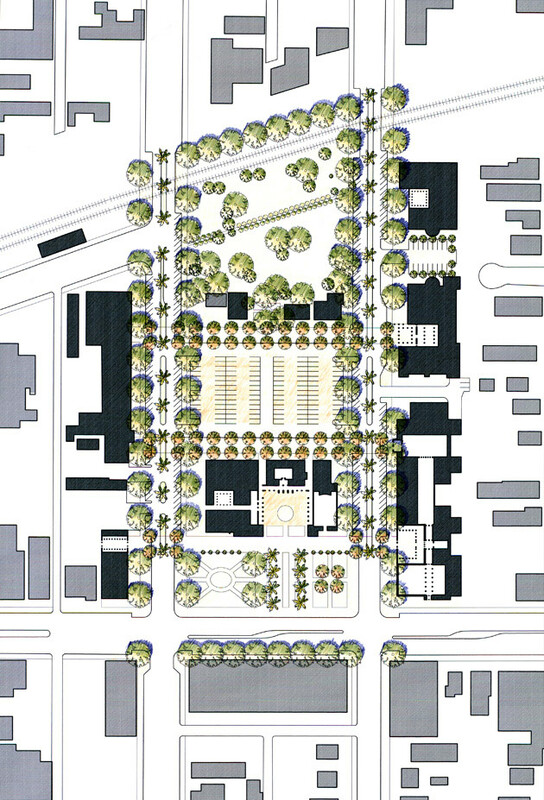 A unified frame of landscape and civic structures surrounding the historic City Hall and one-block village green is planned, which will include both new construction and renovation of existing elements. 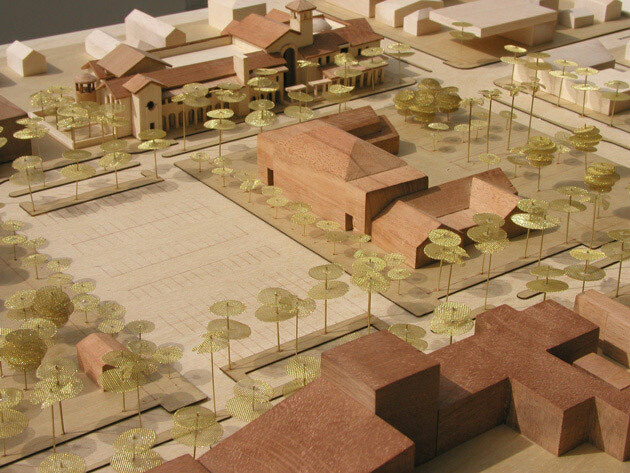 The Plan reorganizes the village green into a coherent pattern of three park types: a formal front lawn, a casual green and a surface parking lot landscaped as a zócalo for festivals. Streets bordering the park are reconfigured in a distinctive landscape of shade trees, palms and medians with street parking. New civic buildings, including a library and youth center that will complement the existing police station and senior center, are proposed for the vacant lots that now face City Hall.